Leading attorney Shigemori takes on the defense of murder-robbery suspect Misumi who served jail time for another murder 30 years ago. Shigemori's chances of winning the case seem low - his client freely admits his guilt, despite facing the death penalty if he is convicted. 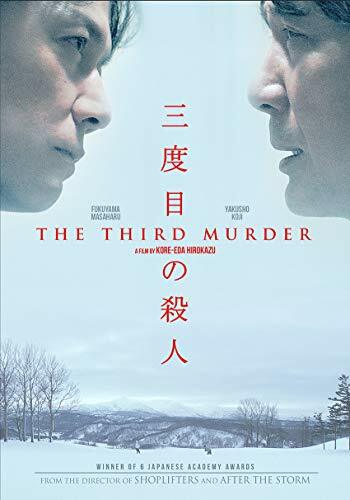 As he digs deeper into the case, as he hears the testimonies of the victim s family and Misumi himself, the once confident Shigemori begins to doubt whether his client is the murderer after all. Bonus features include Making-Of featurette and Messages from the Cast. Package includes excerpt from an interview with director Hirokazu Kore-eda, Why-We-Selected, and chapter breaks.